Algeria’s BADLI Wafi Chams Eddine might be the youngest participant at the 2018 Tunisia Junior and Cadet Open, but the 11-year-old is as bold as a lion. The youngster from El Khroub, a district in Constantine Province, Algeria, is excited putting on the colours of his country. 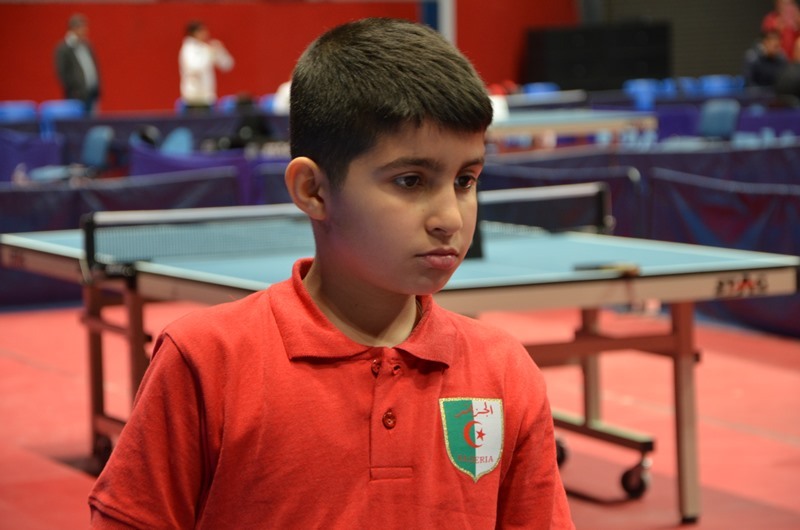 When he started playing table tennis at six, one of his goals was to represent Algeria and it took him five years to achieve this after winning the national U-13 championship to be listed in the 25-man Algeria team campaigning alongside others at the Rades Omni Sports Hall in Rades. “It was my father who introduced me to table tennis when I was six and one of my goals was to represent Algeria in an international tournament. I continued to work harder each year hoping that I can fulfill my dream but I am so excited that my dream became a reality this year after I won the U-13 national championship to be considered as part of the team. When I was chosen, my parent particularly my mother was so proud of me and I am looking forward to win a medal for Algeria in Tunisia,” Badli Wafi said. Badli Wafi’s club – AJK is the same club that produced Algerian national champion, Sami Kherouf who is now based in France.